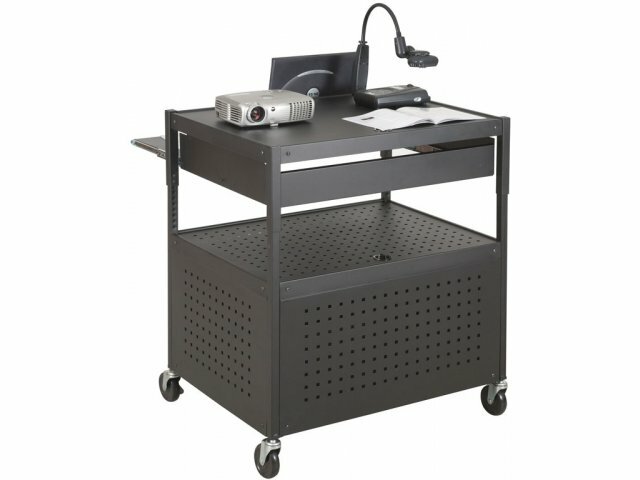 The Balt FDB AV Cart will transform your digital presentation experience. 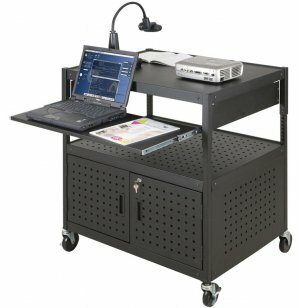 Designed for maximum convenience with user-friendly features, these carts have a surface that is large enough to hold both a projector and a document camera, and they feature a pull-out shelf for any additional equipment. For larger electronic equipment such as DVD players, there is a locking ventilated cabinet that keeps equipment protected and prevents overheating. A built-in power strip and wire-management grommets make it easy to plug in and connect. 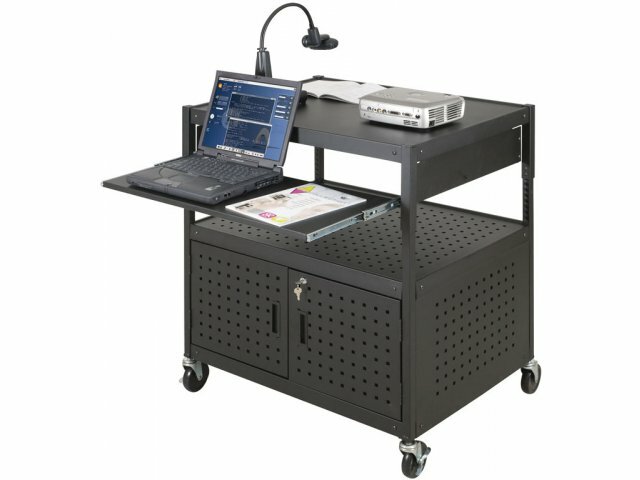 When it is time to move these audio-visual carts to their next destination, they roll easily into place on four casters . Ample Surface: Large top surface provides plenty of space. Convenient: Pull-out shelf is easily accessible and measures 29"W x 12"D. (5.2"H when shelf is pushed in.) It is 27.7"H from floor-to-shelf. No Overheating: Ventilated cabinet prevents overheating even when doors are closed. Interior of cabinet measures 14"H.
Easy Hookup: Includes a four-outlet power strip. Uncluttered: Wire-management grommets keep cables untangled and prevent them from crowding work surfaces. Secure Protection: Cabinet has a built-in lock for security. Portable: Rolls into place on four casters, two which lock. 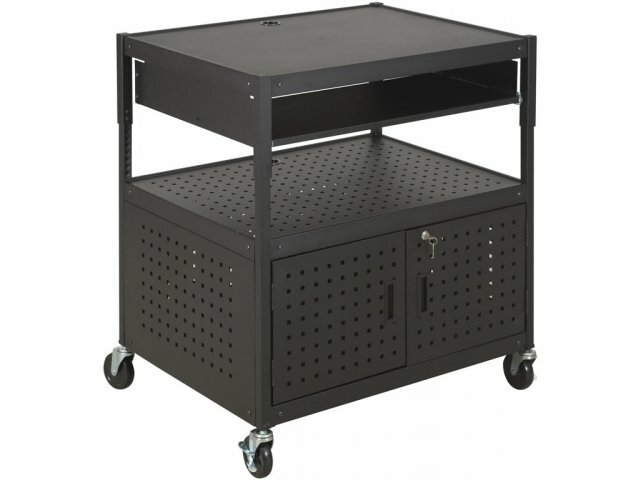 Adjustable Height: Cart is height adjustable from 31-39" in 1" increments.